Light beams refracting in a lens causing them to converge. Light changes direction, or is refracted, when it meets a different transparent medium such as a lens. 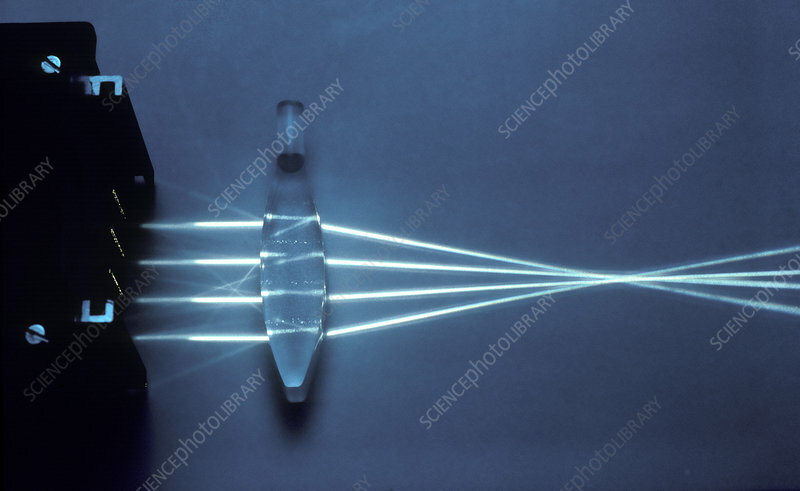 A biconvex lens causes light beams to converge. It is used to correct hypermetropia (long-sightedness), a condition in which light is focused behind the retina.